Javier López Posse submitted the following photograph to Luis Burgos's Facebook page. "A strange formation of unidentified flying objects," he writes. 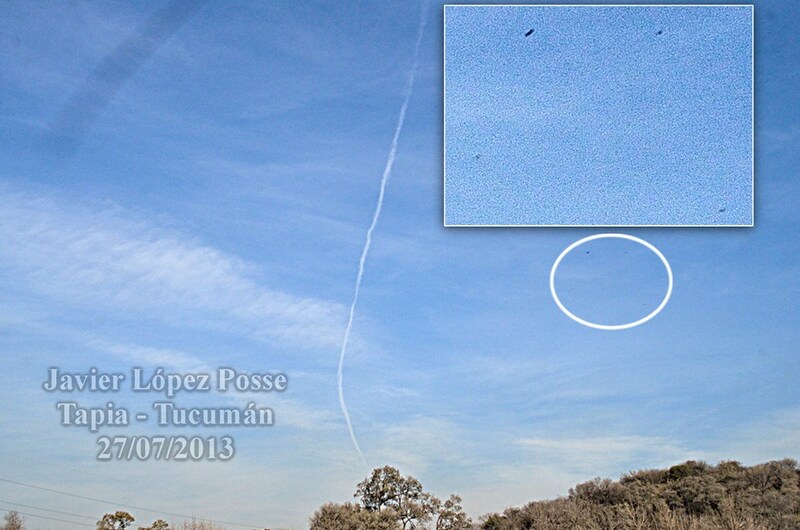 "I was trying to capture the flight path of this airplane, which left a contrail that lasted a least an hour. Can the image of these UFOs displaying a "cross"-like formation be construed as some sort of message? It is very suggestive." Please note the photo has not been submitted to any scrutiny and is merely presented as an example of what is being seen in the Southern Hemisphere at this time.